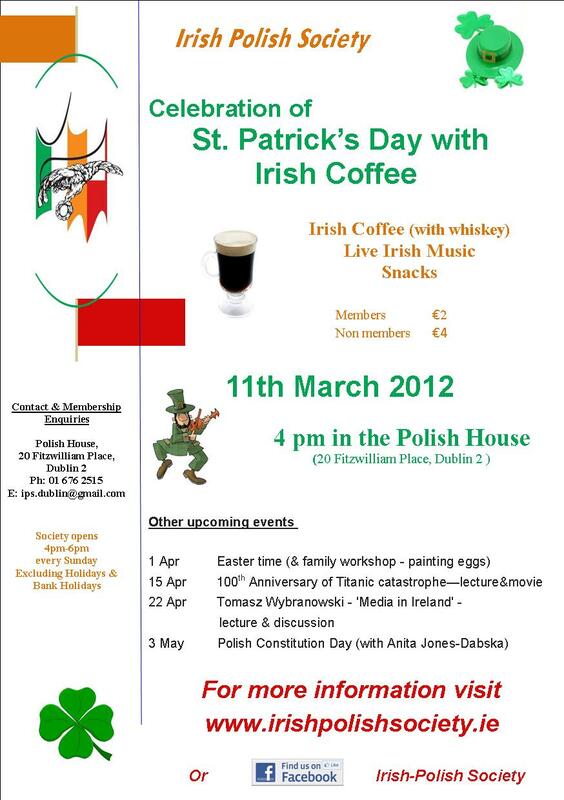 St Patrick’s Festival will this year run from Friday 16th to Monday 19th March. 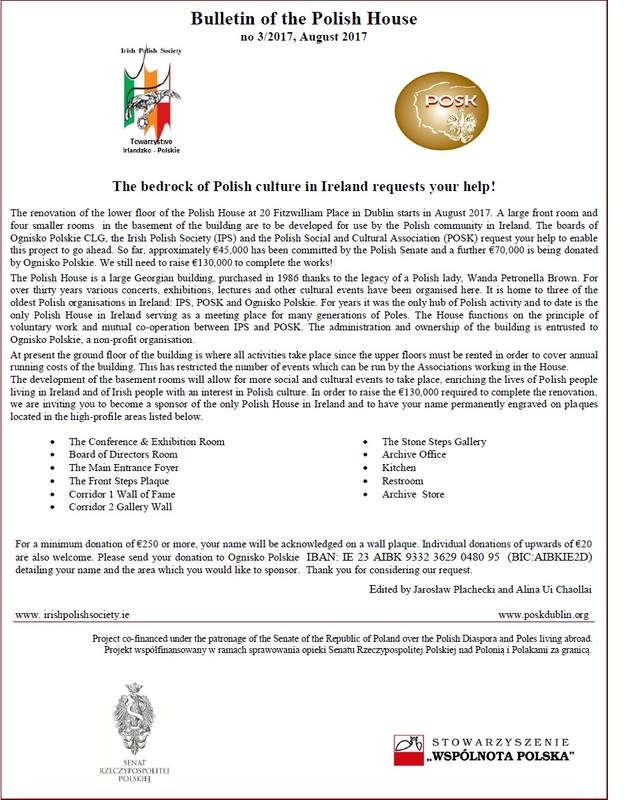 In the Irish Polish Society we are having our own traditional celebration of ‘Paddy’s Day’. 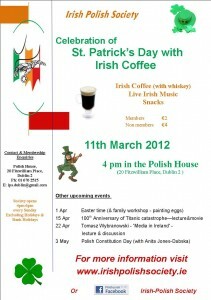 of Irish traditional music, with Irish coffee and refreshments. 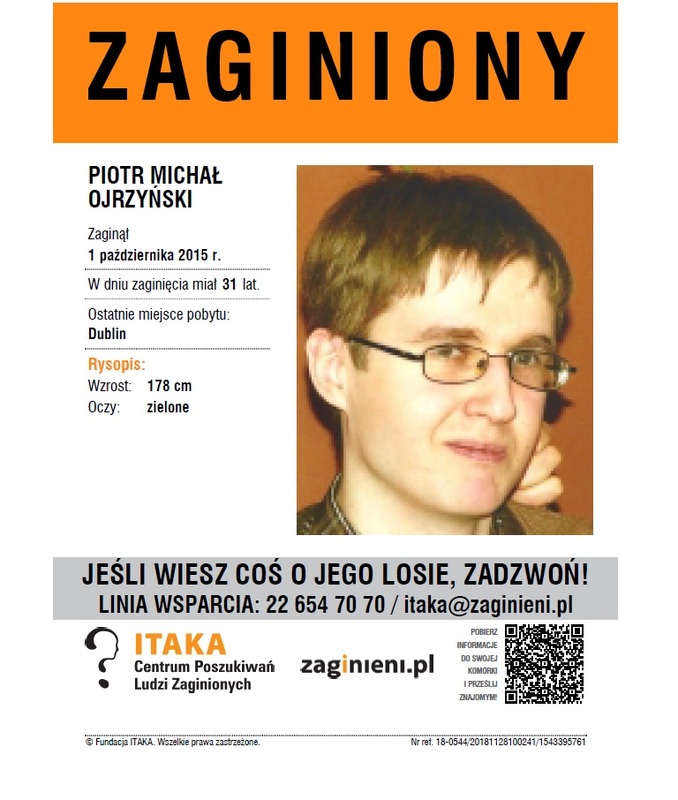 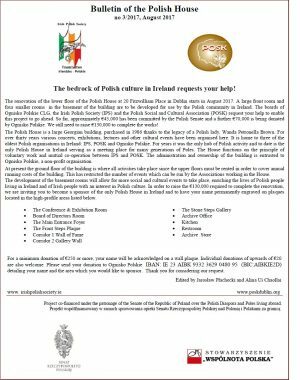 Everybody is invited to come along with friends to enjoy the Polish Irish craic. 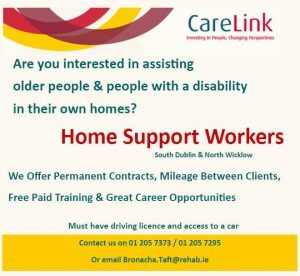 will include live music, Irish coffee, soft drinks and snacks. 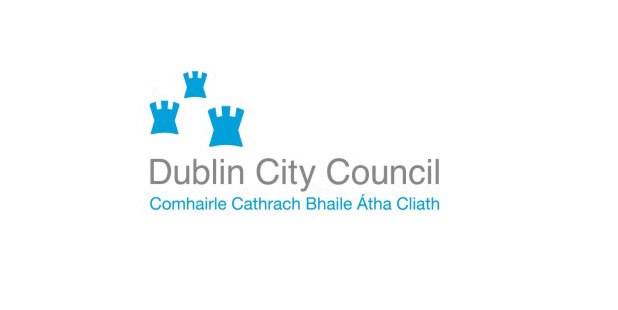 Children free of charge. 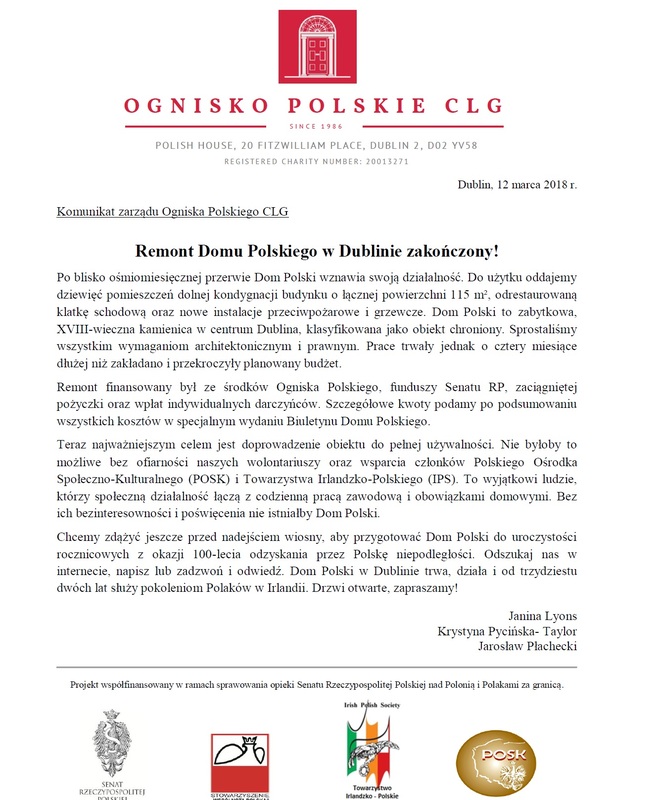 Please note that the Polish House will not be open on Sunday, 18th March, because of St.Patrick’s weekend. 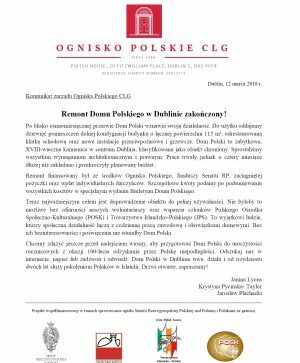 It is expected to see good Polish participation in the St Patrick’s parade and other celebrations of Ireland’s National Holiday.